Chicago Glass and Mirror has specialized in the production and installation of shower doors for the past 25 years. Our one of a kind hinge system allows the glass panels to remain so close together that it eliminates the gaskets that you will find on other shower doors. Look to the left for a break out of the different enclosures that we offer! 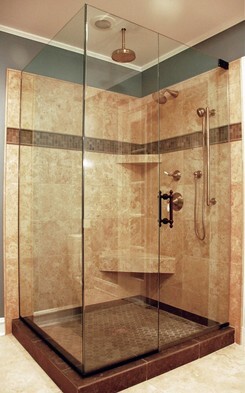 All of our shower doors are custom cut to your exact opening which provides a perect fit. Due to our hinge design we are able to get the panels so close together that it eliminates all plastic gaskets that you would normally find on other shower enclosures. 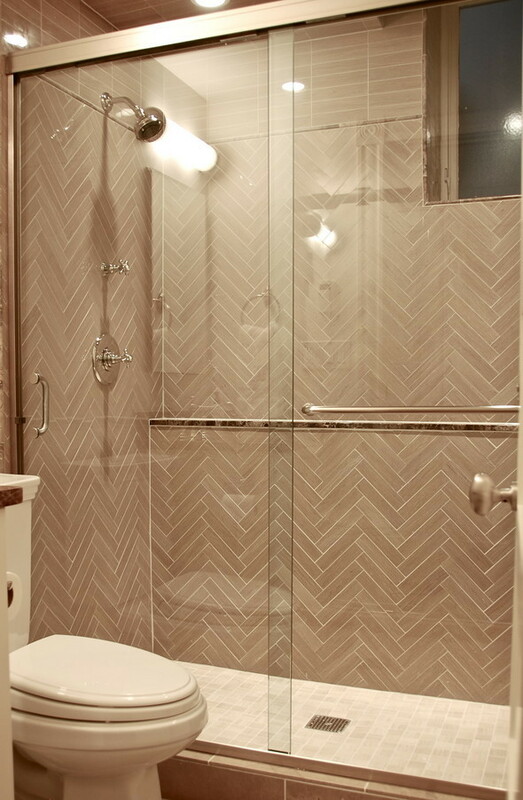 In this bathroom, we installed a traditional sliding shower door in a contemporary bathroom. 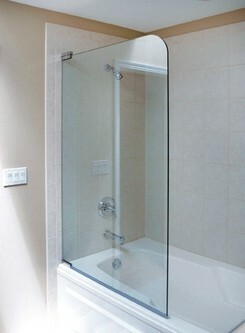 This style of shower door literally fits any bathroom of any size. Equipped with a towel bar on one of the doors for your convenience. A tub splash panel is a great inexpensive way to provide a modern look to your bathroom. Even though the opening isn’t completely enclosed with glass, you will still get little to no water outside of the tub or shower stall.